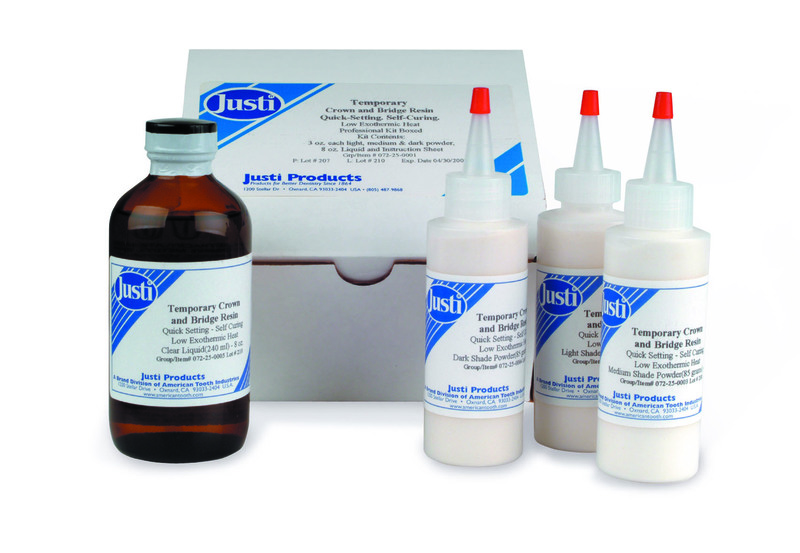 An autopolymerizing self-cure powder and liquid resin for fabricating a crown, bridge or splint. It is very hard, color stable, easy to polish and comes in light (shade 59), medium (shade 62), and dark (shade 69). This material has a low exothermic heat peak, and therefore, is tolerable to the oral cavity; it does not burn. 072-25-0002 Light Powder (85 grams) 3 oz. 072-25-0003 Medium Powder (85 grams) 3 oz.